The Victoria Shamrocks are looking forward to welcoming Chris Boushy to the club for the 2019 season. The 5’ 11”, 192 lb right-hander is coming into his first full year in Senior A lacrosse, on a one-year agreement between the Shamrocks and the Oakville Rock of Major Series Lacrosse. Boushy was a top point getter in Ontario Junior A Lacrosse in 2018, with 36 goals and 48 assists in 18 regular season games with the Burlington Chiefs. In 2019 between the Calgary Roughnecks and Rochester Knighthawks of the NLL, he has tallied 18 goals and 13 assists in 12 games so far this season, including a 7 goal, 2 assist performance in his Knighthawks debut against Georgia on March 15th. The 21-year-old is finishing up a degree in political science at Queen’s University in Kingston, ON, and will be residing in Victoria for the summer. 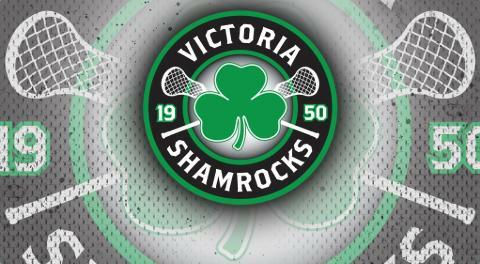 Victoria Shamrocks 2019 season memberships are available for the club’s 70thanniversary season from VictoriaShamrocks.com, starting at $125. For tickets, merchandise, and more information, visit VictoriaShamrocks.com, or call 250-478-ROCK (7625).